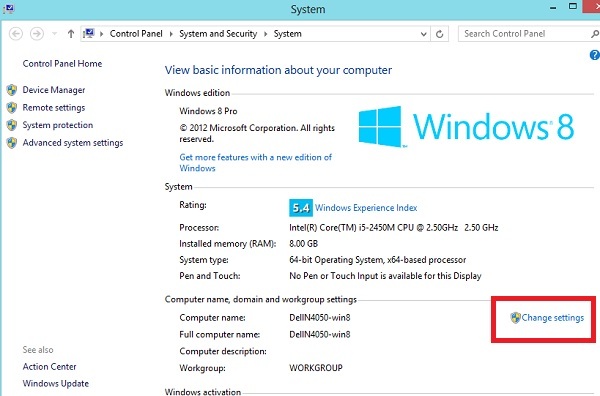 Go to Desktop version of windows 8. Drag your mouse to top right corner of screen and click settings. 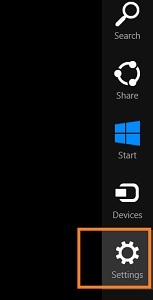 Or simply press windows Key + I buttons on keyboard. 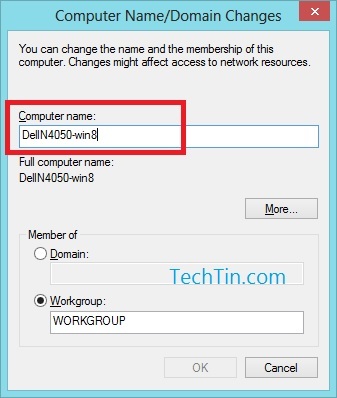 Click Change settings under computer name, domain, workgroup settings. 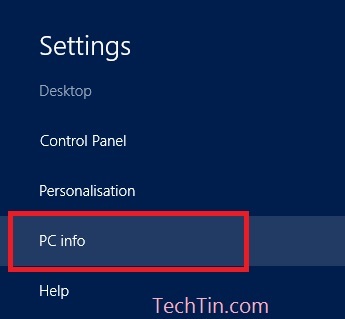 On next windows click change.. button as shown in below image. 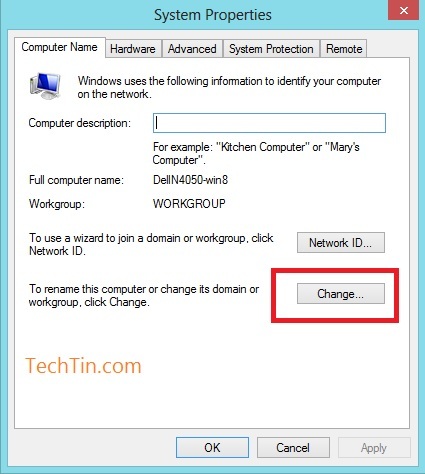 On next pop-up windows you will get option to enter new name of your windows 8 computer. After entering new name click ok button to save the change. You will also need to restart your computer to apply the change.